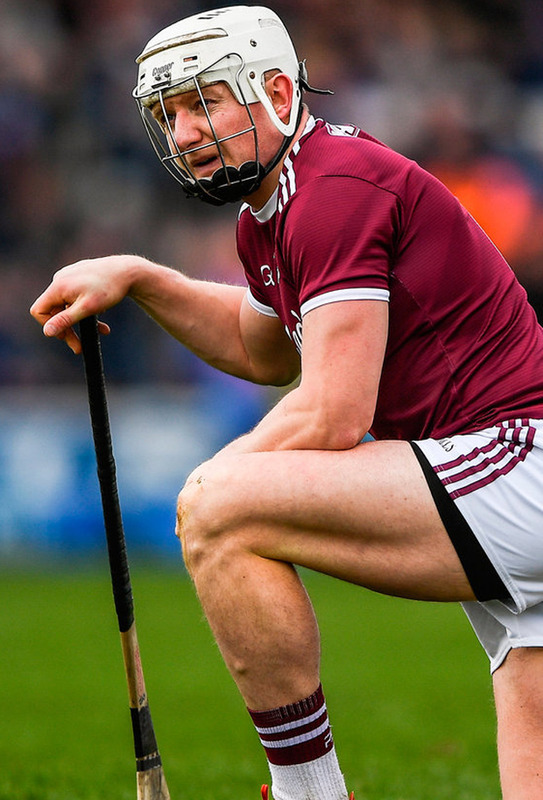 The sight of Joe Canning being stretchered down the tunnel of the Ted Carroll stand compounded Galway frustrations in Kilkenny yesterday after a National League semi-final defeat to Waterford. The Portumna man, who has been in outstanding form, was sent tumbling as he closed in on the Waterford goal with a courageous 70th-minute run, Galway chasing a game they had earlier looked to be controlling. Canning lay motionless on the ground for some minutes after a tackle by Kevin Moran before being carried from the pitch to loud applause, Galway a goal down and in need of his inspiration. Team-manager Micheál Donoghue confirmed afterwards that the 2017 Hurler of the Year would need an X-ray to ascertain the full extent of damage done. Donoghue also indicated he was less than happy with some of the challenges Canning encountered in a game that Waterford won eventually by two points. "He's literally still being assessed by our medical team, so until they determine what it is, we'll be acting upon it tonight or tomorrow, I'm sure," explained Donoghue. Asked if it had been a worry that Canning could be hurt, Donoghue replied: "No, sure look, that's the nature of it. There would be one in particular I'd be interested to see back. I'd like to see it back and I'd say it would be quite obvious." Canning had been down for treatment in the first-half, too, after appearing to hurt his knee. By the time of his departure, he was Galway's leading scorer with seven points (five frees) and worry will inevitably now centre on his availability for Galway's Leinster Championship campaign, which commences on the weekend of May 11 and 12. Donoghue did not conceal his disappointment at losing a game Galway were leading 0-11 to 0-6 until a Stephen Bennett free flew all the way to the net past goalkeeper, Fergal Flannery. That said, they lined out with just seven players who started last year's All-Ireland final against Limerick. "Our agenda at the start of the League was see could we find a few players," acknowledged Donoghue. "So we're happy enough going away now in terms of our Championship preparation."